Lee Chaolan and Christie Monteiro have made their way to Tekken Revolution. Watch the official 1.3 update trailer inside. 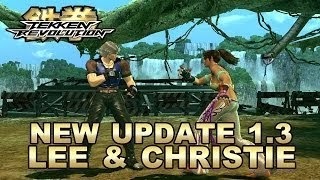 Namco Bandai Europe has posted the official trailer for the 1.3 Tekken Revolution update. Perhaps most notably, the update includes Lee Chaolan and Christie Monteiro as unlockable characters.